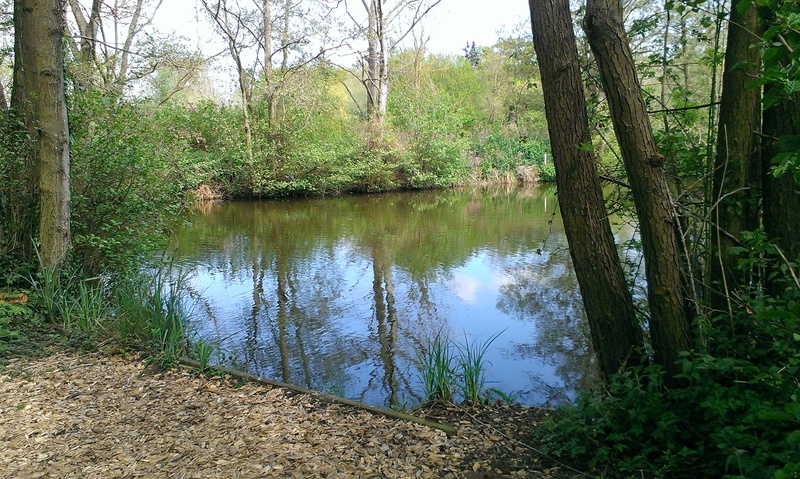 The specialist Taswood Carp water mainly fished by Taswood members, day tickets are available, but must be prebooked (max 3 day tickets at a time on the lake unless by special arrangement). 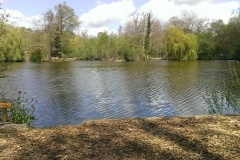 A beautiful, picturesque water with overhanging willows. 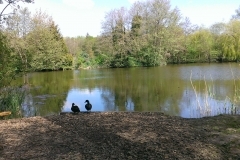 The lake is much deeper than Heron with depths from 5 to 15 feet and is about 5 Acres in size. The bottom is silty with lots of prominent gravel bars. Single and double swims with various features to cast to in every swim. 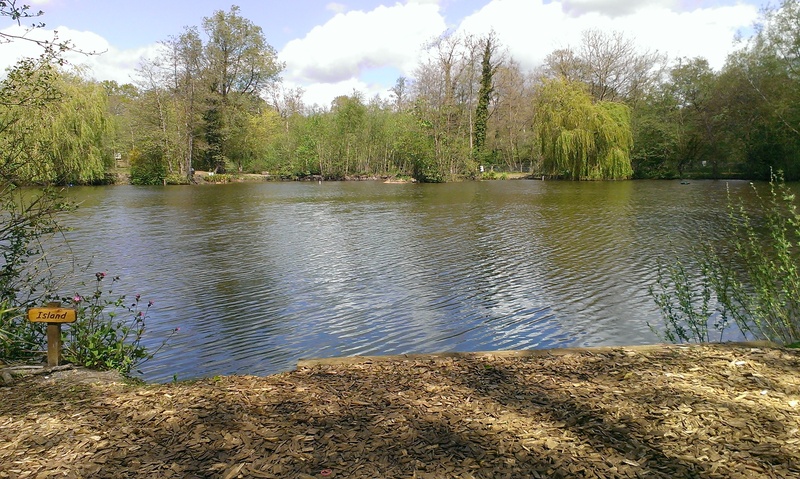 The far banks, lily pads and overhanging trees are the most popular areas to fish to. 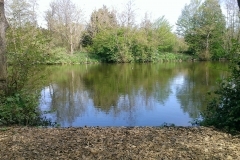 The swims have been amended with all fishing on the far bank. 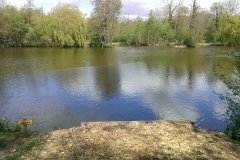 The basin swim has been removed and the shallows also moved to the far bank. This reduced the number of swims but has allowed for greater water for each swim. The larger specimens reside in Broadwing with over 30 fish recorded over 35 lb this year, over 50 reported thirties and over 200 twenties. We have recently stocked the lake with some fast growing British carp which will hopefully become the monsters of the future! 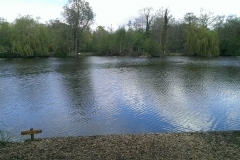 We would classify this lake as a medium to hard water but where the rewards can be magnificent! 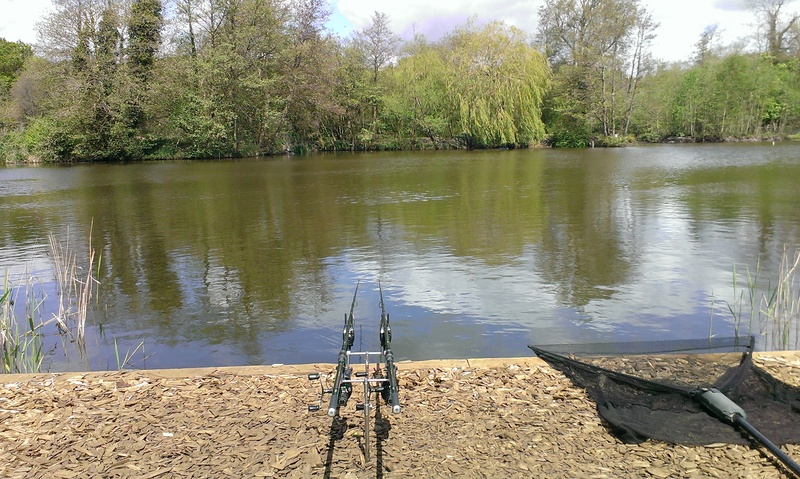 The fish are fairly wise in this lake so a more subtle approach tends to pay dividends. Broadwing has already yielded two forty pounders with the new lake record caught October 2012 a beautiful common carp weighing 42lb 5oz. There are several big ghosties, commons & mirrors nearing the 40lb mark as well as the big common at over 42lbs! This swim is on the end of the warm SW winds and can hold lots of fish. The main feature is the right hand margin and the overhanging willow in the far corner. Feel for dustbin lid size patches of gravel in the margins. 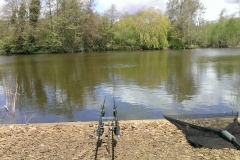 The margins are around 4-5ft deep and the open water has depths down to 12ft. 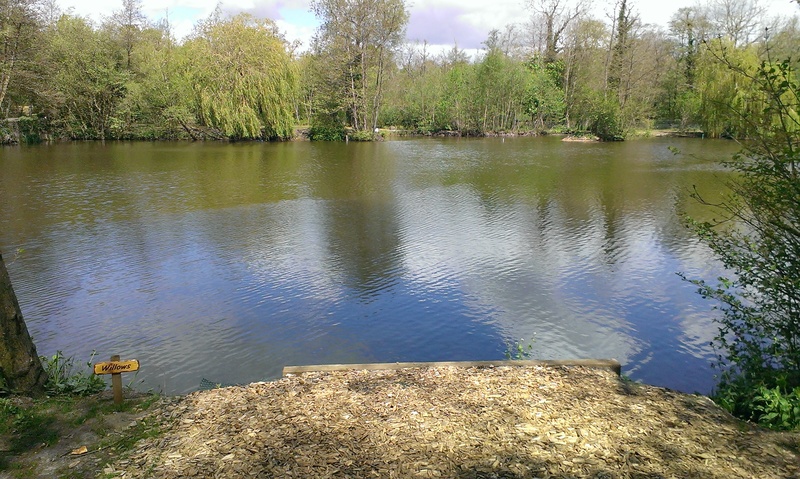 This swim can be a good open water swim with depths of around 12ft. 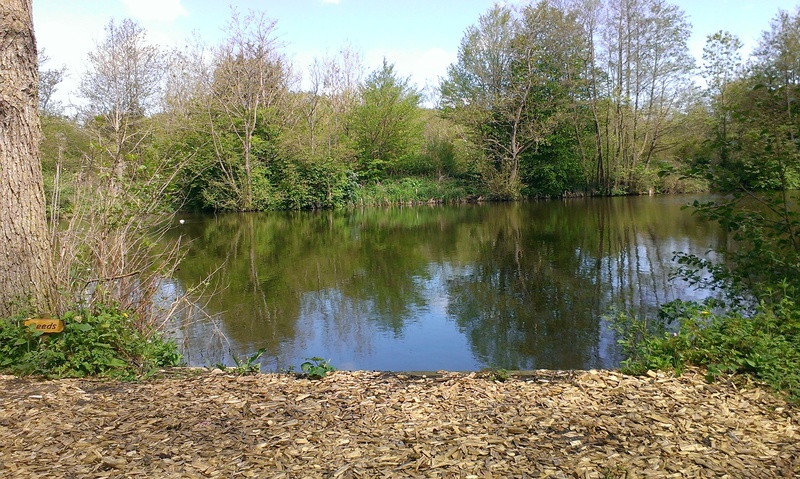 If you see fish topping or bubbling up in the silt it can be worth putting a bit of bait on them mid-way out. You also have the corner of the island which can be productive. As the name suggests this swim fishes to the island and the end of the main lily bed which both produce fish. 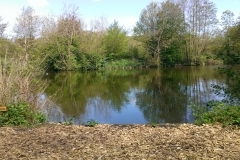 Again if you see fish topping or bubbling up in the silt it can be worth putting a bit of bait on them mid-way out. In the middle it is around 11 foot deep shelving up to around 4 to 5 foot in front of the island and lily pads. 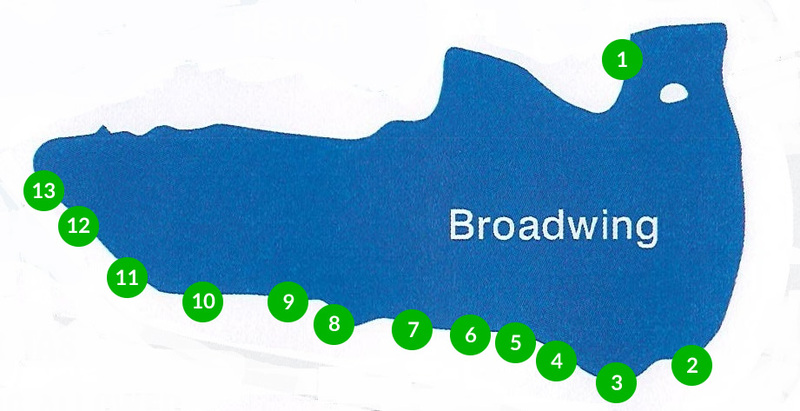 This swim has the main set of lily’s to fish to and a section of the far margin with depths of around 4 to 5 foot in these areas. 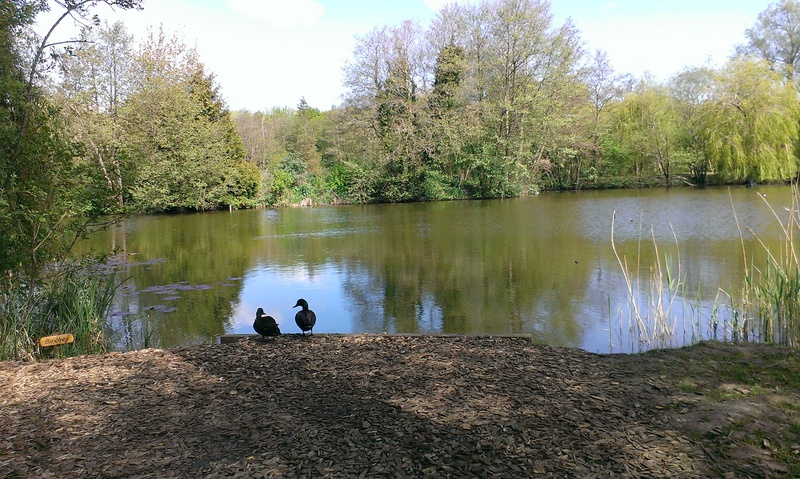 The open water can produce with silty areas of around 11ft deep. The main feature in this swim is the far margin with a lot of fish hanging around the overhanging willow. Again depths on the far margin are around 4 to 5 foot with depths of 10 foot in the middle. Lots of features and areas to try in this swim. The far margin and the lily’s produce plenty of fish as well as just off the overflow pipe in the far corner. Depths of 4 to 5 foot in the margins sloping down to around 9 to 10 foot in the middle. 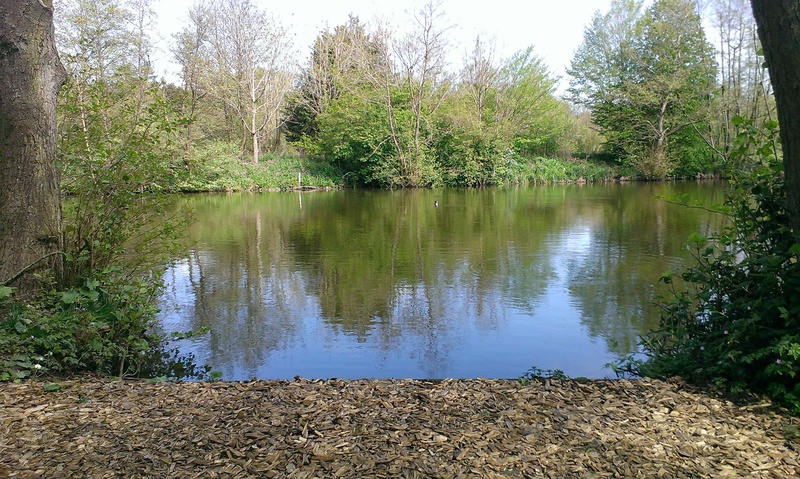 This is where the lake begins to shallow up and become narrower, The lily’s on the far margin tend to produce most fish with depths of around 4 to 5 foot in the edge down to around 8 foot in the middle. The bushes and overhanging trees on the far margin are uaually the best spots to try. The far margin drops off quickly to around 4 to 5 foot so a bait tight under the trees and bushes can produce well The middle is around 7 to 8 foot. The far margin is usually the best place to target with depths of around 4 to 5 foot and depths in the middle of around 7 foot. 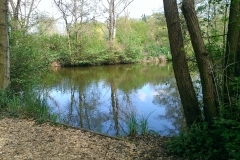 Again a bait positioned tight to the reeds and bushes on the far margin are a good place to try. If it is quiet, a bait in the near margins can be worth a try. The margins are around 4 to 5 foot deep with large gravel areas and around 7foot in the middle. There is a shallower gravelly plateau coming off the far margin with a sandy area in the middle of this. This can produce especially in the warmer months. There are also lily’s tight to the far margin. Depths vary from 4 to 5 foot on the plateau to around 7 foot in the middle. 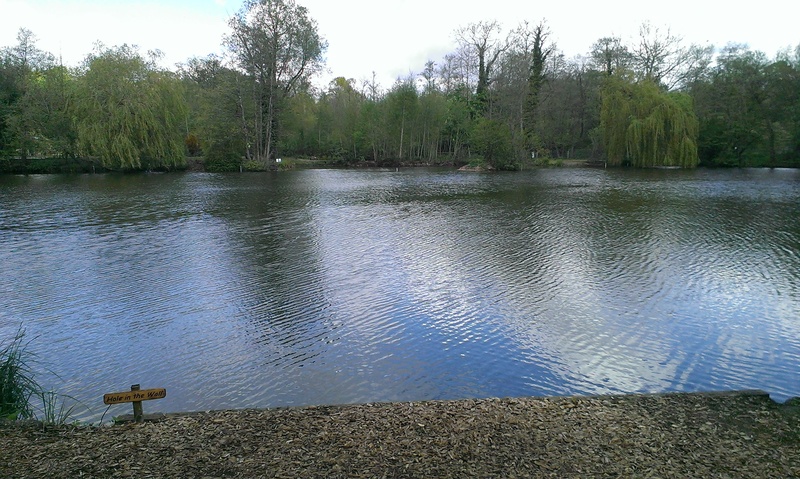 A Close range swim at the end of the lake with overhanging trees and overgrown margins. Some of the bigger fish get caught from here, especially if the other end of the lake is busy, so keep quiet and hide your lines. Average depth around 5 foot.